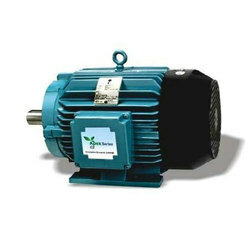 Providing you the best range of crompton greaves cast iron enclosure motors, lv aluminium enclosure safe area motors, crompton greaves lv slip ring motors, ic4a1a1 fan cooled induction motor, nema lv cast iron enclosure motors and crompton greaves ie energy efficient motors with effective & timely delivery. CG LV cast iron motor range covers products with outputs from 0.18 kW to 375kW in frame sizes 63 to 355. 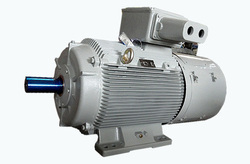 They are suitable for use within a diverse range of applications from pharmaceutical to steel production, from the crane to roller table drives, many applications often have adverse operating conditions including repeated starting and occasional overloading; Our LV standard and custom-made motors are well suited to these situations and most of the severe application. Safe area motors have the terminal box on the RHS for SCR and Top for Slip ring as a standard. Other TB position can be offered on request. Standard paint shade is Light Gray 631 as per IS-5, others are also available on request. 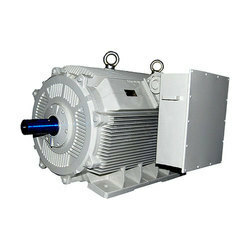 GD Series aluminum motor range covers product with output as little as 0.18kw to 11kw in frame sizes IEC63 to 160, GD series have Multi-mount facility, by simply changing the position of feet, the user is able to obtain right, left or top mounted terminal box position and by changing the standard end shield user can change it for flange or face version. All motors have the terminal box on the top as standard. RHS/LHS terminal box can be converted simply by changing the detachable foot position. CG has Low Voltage Slip Ring electric motors ranging from 3.7 kW to 350 kW in both TEFC (IP55) & Drip Proof (IP23) construction. 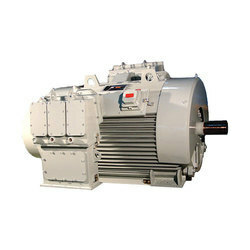 These motors are designed with new Slip Ring and brush gear arrangement for trouble-free operations and long lasting brush life, Slip Ring are molded in epoxy-based insulation and excellent stability in operation at high temperature and have very good anti tracking-property. We also comply with IPSS standards to meet the requirements of Steel Plants. 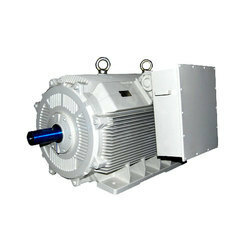 Fan Cooled Induction Motor IC 4A1A1, IC 4A1A6 (TEFC) CG manufactures NG-Series Motors, which belong to a family of state of the art, energy efficient and Totally Enclosed Fan Cooled (TEFC) Squirrel Cage motors. 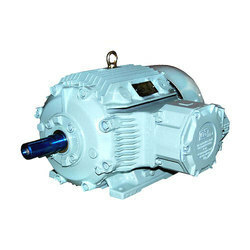 These motors are extremely efficient, even at partial load and they have very low noise level. The efficiency of these motors is maximized by effective utilization of materials, minimizing losses and optimal design of the fins. Due to the reduced fan and core losses, there is no sharp drop in the efficiency curve at partial loads. CG is making these specific motors for North American Markets. 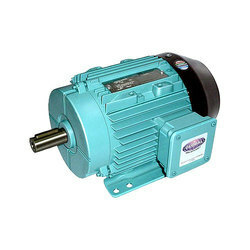 These motors comply with NEMA standards such as NEMA MG 1 CSA C 22.2 No. 100 and UL 1004. These motors are most energy efficient and meet Epact efficiency standards. These motors are also listed in DOE and ESA. Motor Voltage 380V, 415V, 440V. Performance requirements in addition to efficiency. As per new requirements of IEC60034-30 and IS12615:2011. Testing Method: CG Determines efficiency values according to clause 8.2.2.5.1 of IEC 60034-2-1 using the indirect method (low uncertainty), with additional load losses(PLL) determined by measurement. 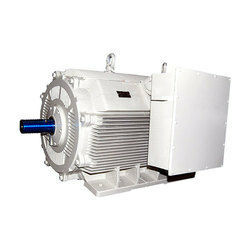 CG manufactures state of the art Non-Sparking Motors Ex `N`. These motors meet the stringent quality and performance norms laid down by both Indian and international statutory bodies. 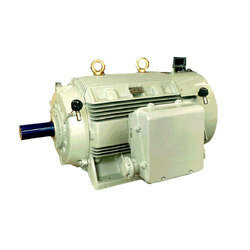 We supply these motors for use in hazardous areas that are normally encountered in chemical industries, petrochemical refineries and mines etc for Zone II areas. CG offers the wide range of low voltage Flameproof squirrel cage & Slip ring electric motors for operation in hazardous and hostile environments, ranging from 0.37 kW to 355 kW. These Flameproof Motors are licensed by a European notified body (BASEEFA) and Indian notified body (BIS/DGMS/PESO). All relevant products fully comply with the requirements of the ATEX & CE Directives.